Pastor Carl Ellison is a native of Wesley Chapel, FL. He was raised in a strong Christian home and realized his need for Jesus at the age of 3 while watching a Billy Graham crusade. He struggled with his faith in his teenage years and walked away from the sweet fellowship with Jesus for about a decade of his life. A “perfect storm” brought him to a place of surrender to the leadership of Jesus at 24 years old. 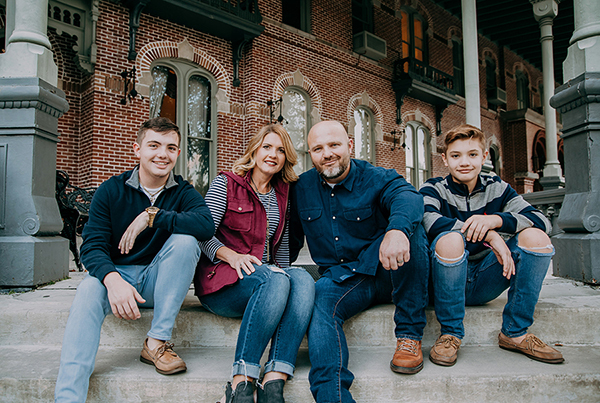 While the Lord blessed Carl in business for many years, God began calling and preparing him to serve in full time ministry from that life-changing day onward. He continued to learn servant leadership in the “ministry of business” as he received his bachelor’s degree from Moody Bible Institute and was conferred a Master’s degree from Moody Theological Seminary. He served in many roles as a deacon, small group leader, and various ministry teams before he surrendered to full time ministry through the local church at the end of 2009. Carl has been changed by the Message of the Cross and has a desire to be used by God to change the world with the Message of the Cross. He has been married since 1994 to his wife, Rhonda, and has 2 men under construction-Caleb and Nicolas.